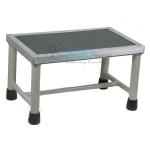 A footstool mat be a piece of furniture or a support accustomed elevate the foot. 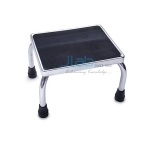 There are two main types of footstool, which might be loosely categorised into those designed for comfort and those designed for perform. 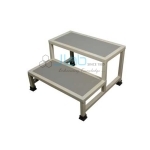 Jainco is renowned Hospital Foot Stools Manufacturer, Hospital Foot Stools, Hospital Foot Stools Suppliers, Hospital Foot Stools Exporter, Hospital Foot Stools in India, Medical Stools, Foot Stool Manufacturers in India, Medical Foot Stool. Top made of molded washable plastic. Freight saving knock-down construction. Size : 51L x 30W x 23H cms. 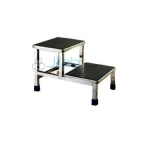 ERW steel tubular frame work mounted on PVC shoes. Size : 51L x 30W x 23/45H cms. 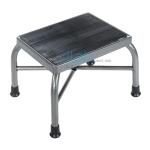 ERW steel tubular frame work mounted on PVC shoes.